Welcome to No1 EPCRT- We not only clean the soiled, mould,algae or moss covered area but if necessary we can supply our own water and RECYCLE UNIT FOR LARGE AREAS.- Specialist in House Washing in Brisbane and Gold Coast Areas, Drive way high pressure cleaning for both Residential and Commercial Premises. 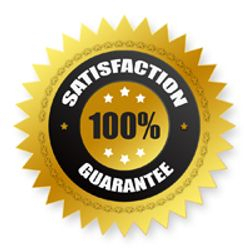 We also offer 100% Satisfaction Guarantee in writing"If you are not happy with our service, we will come back and redo the service or if warranted give you your money back!!! Here at No1 EPCRT- We strive to use to latest technology to Reduce ENVIRONMENTAL impact by our day to day High Pressure Water Restoration activities. We use the latest Pressure Cleaning Equipment to MINIMISE water use on the job to the extent that we have developed a RECYCLE SYSTEM that allows us to RECAPTURE and REUSE the water we use in cleaning on the job pending the services engaged while adhereing to QLD Water Commission and Department of Environment and Resource Management Guidelines. Our company prides itself on Saftety first with our clients and our technians with PPE, WARNING SIGNAGE, BARRIERS/TAPE, SAFETY HARNESSES, HAZARD CONES all a must on site when on Private Property or on Public Areas. I have personally researched and developed in Australia a unique technology cleans without harming the environment. We currently use a similar system in our other business that recovers the water used in cleaning by means of a powerful vacuum system, and I now have coupled it with a system that removes pollutants and then re-uses the water in the process. Benefits: Efficient water usage and time management on the job- Benchmark environmental practices. - Reduces cost of water incurred to client- Protects Water ways from dirty polluted runoff. 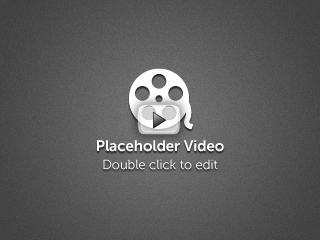 Our COMPANY Vision: is to CREATE a CLEANER, SAFER and HEALTHIER ENVIRONMENT for PUBLIC AND FAMILIES, while sharing and Educating Public and Industry to minimising the impact we have on the ECOSYSTEM around us. Below is the APPROXIMATE Price Guideline for services based on the Average Sized Home for HOUSE PRESSURE WASHING/FLOOR PRESSURE CLEANING/RETAINER WALL CLEANING. Commercial/Industrial/Retail Services: Site QUOTE is Required as to assess the degree of soiling and Company's Water Efficient Management Plan; Thus we can taylor a service to suit your businesses needs at an Efficient Cost Effective Quote. The technician when onsite will inspect and reassess the property based on the Complexity of the site and degree of soiling. As the average job is based on time for average soiling level with materials and effort; hence any time,effort or materials extra will be quoted on the day prior to commencement of job. Within the Standard service; mould and spider treatment is included ,along with light window, screen cleaning, attached garage door single/double scrub wash down and 12sqm of lattice. Please note Carports and Patios, Pergola or Garden Sheds are extra's and will be quoted on the day, but please do mention them when you book in. We accept CASH, CHEQUE, VISA, Master Card, Debt Cards and Eftpos-2.5% Fee applies to partly cover the transaction cost. Recycle System / Water Supply: Quote for Commerical Services and Residential service if Non-Tank water/Non Drinking Water Available for Cleaning as Per Water Commission QLD Guidelines where possible. Roof Top Cleaning: Quotes Required- As a Risk Assessment has to be completed considering the use of Safety Harness($88 Fee Applies on all roofs in line with Gov Regs),Boom lift access, Roof Pitch, Drainage of soiled water, Type of Tile Concrete/Terracotta and Degree of soiling, Use of Bio Detergents,Inspection of Roof for damaged tiles/ridge capping & Condition of Gutters/Physical and Internal debri. Cost: $1.76 Sqm -$3.63. Interior and Exterior Gutter Cleaning= Vacuuming +Wash Downs; Rate-$90.Min 1.5hrs+$44 Perhr after due to the size of house + amount of debris to be removed-Height Fee may apply ($44-88 Fee Applies on all roofs in line with Gov Regs) assessed on day. Light trimming of Trees and Plants hanging over the roof + against the house + rubbish removal; Quote to be supplied before commencement(Min call out $90 for 1hr Service when not on site includes rubbish removal within the hour). Pathways/Driveways/Retainer Walls/Balchony (Non Stone/Tiles) Square Metre Rate at Min Call out :$90 for 70sqm of surface area- Extra SQM is at $1.43-$4.40inc gst pending on SURFACE + SOILING & ACCESS RESTRICTIONS. Recapture Cleaning -Surface Concrete etc/Tile + Grout/Stone Cleaning Internal + External Premises: $3.30-$11.00 sqm Min Call out 20 Sqm $90 inc gst. External Grout Re-colouring + Repair: Quotes Required as Inspection is Needed..
Tile Repair and Replacement:Quotes Required as Inspection is Needed..
Tile/Stone/Concrete/Brick Sealants/Cleaning Products= Quotes Required, Due to various Sealants/Products available for the specific surface needing to be sealed/Cleaned. 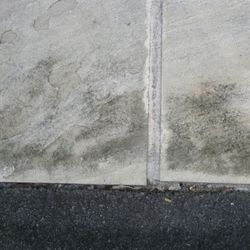 Sealants:Quotes Required as Inspection is Needed - We first must determine the surface type;Granite;Paver's;Sandstone; Travertine; Limestone; Grout Sealer;Penetrating Impregnating Sealers + Penetrating Enhancer Sealers, each sealer is designed to do a specific specialised coating protection. Patio Texture/Paths/Driveway Resurfacing + Crack Repairs: Quotes Required as Inspection is Needed- We can place a Texture Surface over New Concrete/Old Brushed Concrete or We can Grind/Scrabble the surface to make it suitable for the new surface application if required. 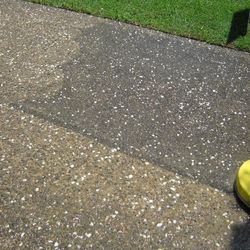 We can fix Cracks in Driveway/Paths/Patio's also Clean and Re-texture / Coat over damaged Garages Floors/Paths/Driveways. Stamped Concrete also can be cleaned and Re-coloured along with plain brushed concrete. We can arrange-Stencil Crete Driveways/Paths/Patios + Colour Match/Seal and Repair. Graffiti Removal and Products + ANTI Graffiti Paint + Concrete Paint Stripper + Colour Matching Service :Quotes Required as Inspection is Needed- We can sell in bulk or can supply unique products to individual person/companies or can supply and apply the service and match the colour as best as possible. Concrete crack repairs and Line Marking Car-parks& Pathways,Educational Concrete Painting: Quotes Required as Inspection is Needed to assess the clients needs and expectations and our capability to fulfill them if not exceed them.